Emma Maitland-Carew (DipION, FdSc, mBANT, mCNHC and Metabolic Balance Coach and HeartMath Coach). Emma is a licensed and accredited Nutritional Therapist. She completed her clinical training in 2009 at The Institute for Optimum Nutrition (ION) in London and also at the University of Bedfordshire. ION is the most long-established and one of the most recognised nutritional institutes in the United Kingdom. Emma received ‘The Award of Excellence’ from her university for the best dissertation in her year. For the last five years, she has had a very busy full-time practise in Oxford and Bloxham. An experienced chef, Emma has worked as Head Chef for the Penny Brohn Cancer Care Centre, the UK’s leading Cancer Charity. She has written features for the Optimum Nutrition Magazine and recipes for the Optimum Nutrition E-News. Emma is trained in Functional Medicine Practice. This means that Emma seeks to identify and address the root causes of her clients health concerns, and views the body as one integrated system rather than a number of independent organs. She treats the whole system rather than just the symptoms. Emma has attended and completed the inaugural Applying Functional Medicine in Clinical Practice™ (AFMCP™-UK) training in London in 2011. 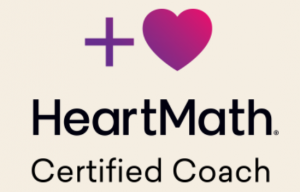 Emma has also trained as a metabolic balance ® coach and recently in HeartMath. She has a special interest in digestive health and has recently completed an advance Gastrointestinal Masterclass with Dr Jason Hawrelak. Emma is currently registered with British Association for Nutrition and Lifestyle Medicine (BANT) and the Complementary & Natural Healthcare Council (CNHC) requiring her to abide by their strict code of ethics, and is a member of the NHS Directory of Complementary and Alternative Practitioners. 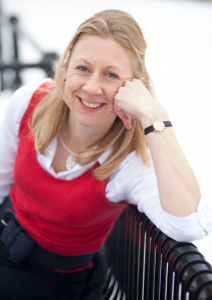 Based in Oxfordshire, Emma works from the Hedena Health Centre in Headington, Oxford and The Godswell Natural Therapy Centre in Bloxham, outside Banbury. Emma is a committed Christian who hopes to encourage healing through nutrition. She is passionate about the healing effects food has on the body.